Firing up the grill as the warm weather comes creeping back. I love this time of year; spending tons of time outdoors, grilling and lots of warm sun. Ribs, steaks, burgers, hot dogs and chicken are just that much better when cooked on the grill. Equally important for those al fresco meals? Side dishes of course! 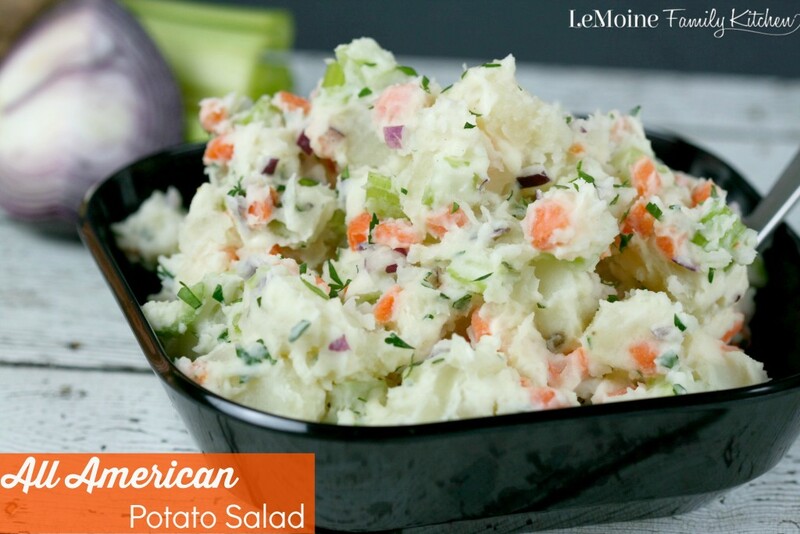 This All American Potato Salad is a must have at every BBQ. Its simple, anyone can make it and always a hit. Russet potatoes boiled in salty water until fork tender. 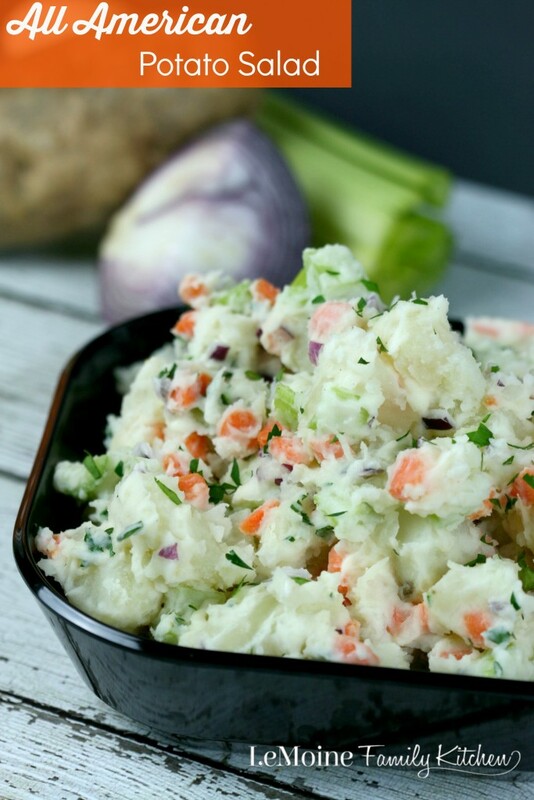 Toss those perfect potatoes with diced carrots, celery and red onion. The dressing for this All American Potato Salad is pretty basic; mayo, garlic powder, salt and pepper. Throw in a little fresh chopped parsley and you are all set! Add the diced potatoes to a COLD pot of salted water. Bring to a boil and cook until just fork tender. You don't want to overcook the potatoes because they will fall apart as you stir the remaining ingredients. Drain the potatoes well and cool in the fridge for about 10-15 minutes. Stir in the red onion, celery and carrots. In a small bowl stir together the mayo, garlic powder, salt and pepper. Add the mayo to the potatoes and stir to coat. *Depending on the size of the potatoes you may need a little more or a little less mayo. You want the potato salad coated but not excessively heavy on the mayo. Stir in some fresh chopped parsley.